The curator, Michelle Chong reflects on how the personal is expressed through particular choices, and how intentions are manifested into social commentary. More specifically, the works in the show explore the relationships between self and body, body and landscape, identity and place, and mortality and ritual. Laida Lertxundi works in moving image, photography and printmaking. Her main body of work is shot on 16mm in a process she calls Landscape Plus, which combines filmic records of people and places with a strong emphasis on sound and pop music, resulting in languid passages of cinematic language, bodily desire, and existential awareness. She employs a fragmentary approach to editing in which cinematic forms of storytelling are replaced by a focus on process and materiality. Her work highlights the tension between form and the experience that will always exceed it. 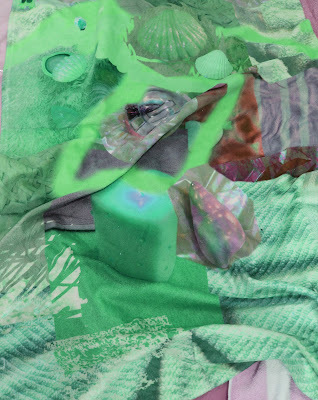 Victoria Lucas’ practice led research aims to investigate the analogy of the artificial landscape as an ideological mise-en-scène, to challenge anti-progressive frames of power through the construction of imaginary place as artwork. Limiting orthodox idealism has gained a foothold in western politics, fueled by the widespread manipulation of facts and a populist shift towards right-wing agendas. Drawing upon imaginary fictional space, the staging of the work cites cinematic, geographic, and literary frames and references in order to interrogate the power of constructed heterotopic resistance against unquestioned privileges of power from a feminist perspective. Renée Petropoulos presents drawings of signs and symbols consciously arranged to explore their functions, their monumentality, their changing histories, and conventions. As Bolaño’s dentist further describes the fabric of the particular as moments in life, “the secret story… the one we'll never know, although we're living it from day to day, thinking we're alive, thinking we've got it all under control and the stuff we overlook doesn't matter. But every single damn thing matters! Only we don't realize. We tell ourselves that art runs on one track and life, our lives, on another, and we don't even realize that's a lie," Petropoulos explores the dialectical relationship between our private lives and our public lives and how they are woven intricately together. Her work navigates between personal and political representations, tearing at the threads that weave between the facets of our lives as individuals and as subjects. Brandy Wolfe’s photographs start with an exhibition catalogue or an informational book, from which she cuts out the subject central to the text. What remains in the book is the framework/support for the now missing objects. After arriving at a desired composition within the physical pages of the book, the pages are scanned, edited, printed in pieces on cheap computer paper, and taped back together. Embracing an in-between-ness while also emphatically positioning themselves as cultural objects of worth, the resultant large-scale images are a conflation of two- and three-dimensional space. While the intended narrative of the source material is now splintered and broken, there still remains a desire to piece together the fragmented forms, shadows, and spaces into new narratives—to impose a new hierarchy onto the void. 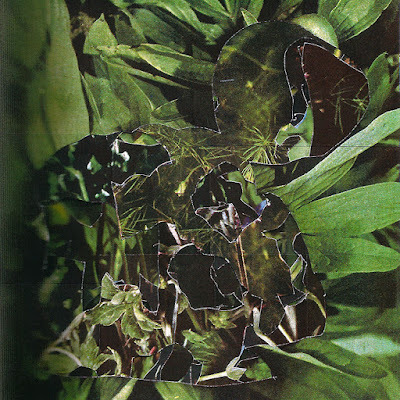 The images in the series Memoriam Holera (a rough Latin translation for memorial greens) started out on the pages of a 1949 book entitled Favorite Flowers in Color. While originally drawn to the book for its fetishized images of affect (in the form of beautifully lush flowers and the carefully constructed context they were photographed in), the resultant abstractions became a meditation on the relentless mutation and division of cancer cells, following two recent excisions of a phyllodes tumor. Through weeks of cutting, scanning, and editing more than 500 pages of greens, a series of fragmented landscapes emerged that float in and out of focus—with moments of beautiful lucidity and hidden murk. Michelle Chong is an artist based in Los Angeles. She received her MFA from Otis College of Art and Design and her MA in Psychology from Antioch University. She is the founder of Short House and has served on the board of FAR and SASSAS.